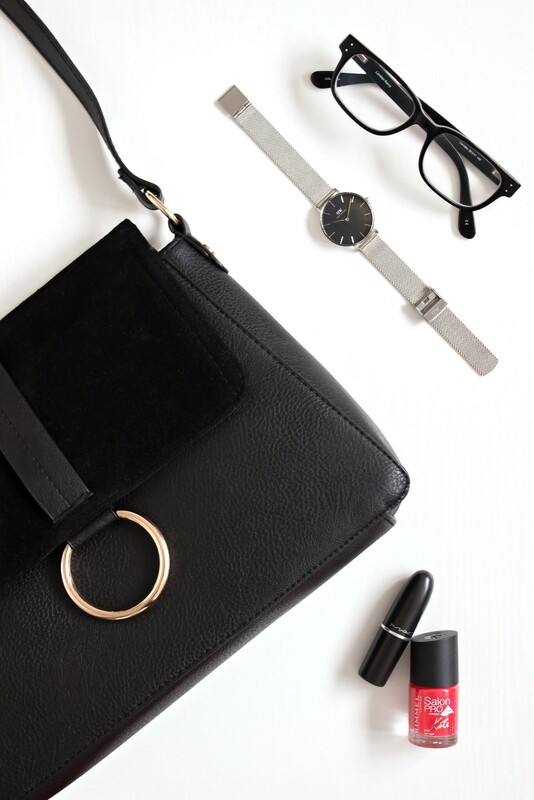 For the last few months I have been on a hunt for a new black bag for everyday use. Mixed together with the fact that my budget was quite small and that I am the most indecisive and picky person ever when it comes to accessories meant that it was a recipe for disaster; it was always going to take a while to find something I liked. However, when I was least expecting it a few days ago, whilst watching YouTube I stumbled across one of Stephanie’s videos from a few months ago. She featured some of her most recent bag purchases, of which one really stood out to me. The Large Across Body Bag from Matalan really did catch my eye, and despite being so very behind when it comes to YouTube these days, I was surprised to find the bag still in stock. Needless to say, I placed my order and it arrived a few days later. Matalan is a place I remember going to growing up when I was around 5 and 6, however I will be honest in that it is not somewhere I frequent these days due to it not really appealing to me that much. My local store is also a bit out of the way so that also adds to my reasoning. That being said, I was quite impressed with some of the products they had on their website so I will definitely remember to check it out in the future. Priced at £16 I think this bag is super nice, it looks a bit more expensive than it is and it of course has somewhat of a resemblance to it of some of the more recent Chloé launches. 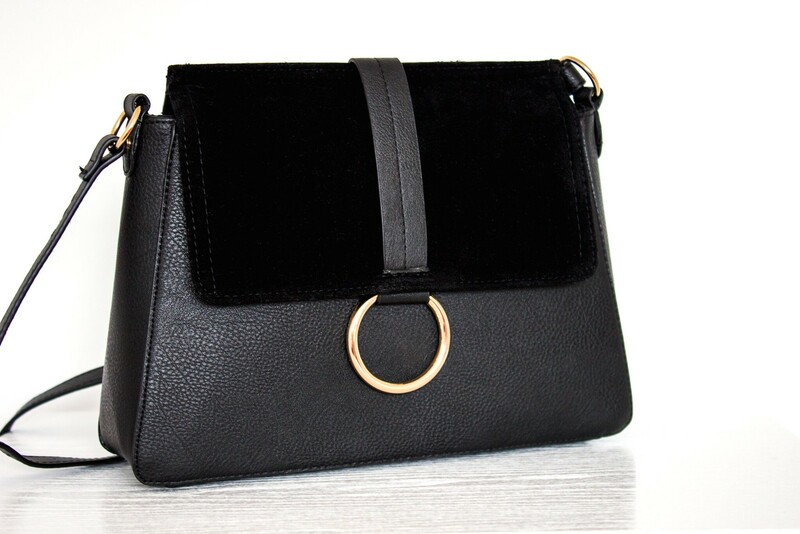 It has a faux leather body and a textured velvet feeling flap on the top with a long adjustable strap. It is quite basic inside with just a small zip pocket for holding the more valuable/personal things and then of course the little pouches like most bags for your phone and keys. The gold detail at the base of the strap and of course the circular buckle detail is an instant hit with me. Naturally of course it is not the sturdiest of bags, it is after all only £16. However, as one of my first budget fashion buys for this year I must say that I am really quite happy with my purchase. 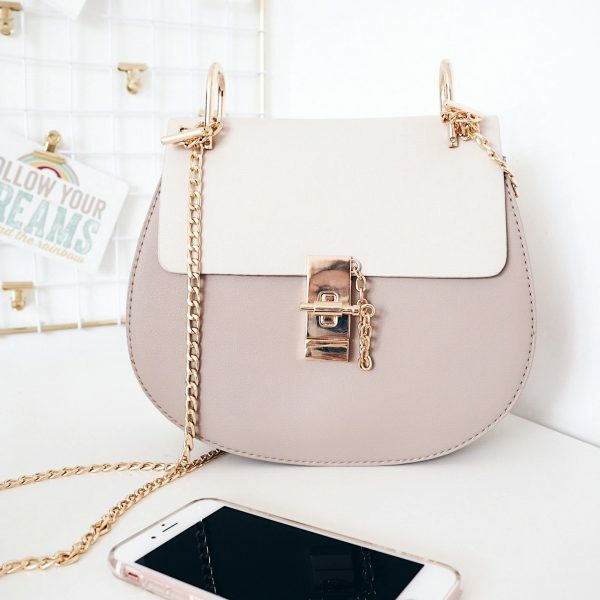 I also found a really great dupe for the Chloe Drew bag which is also another beautiful design that I just adore, you can find that here. So now I finally have my black bag for the rest of the year, I am looking towards finding a nice spring/summer bag. Pastel pink really appeals to me this year; I have no idea what has got into me!